Our personalised ribbon is available in a range of 40 colours to match your favours with an option of Black, Gold or Silver print. Colours can be seen in our Satin Ribbon range. The printed ribbon is 10mm wide on a 20m roll. 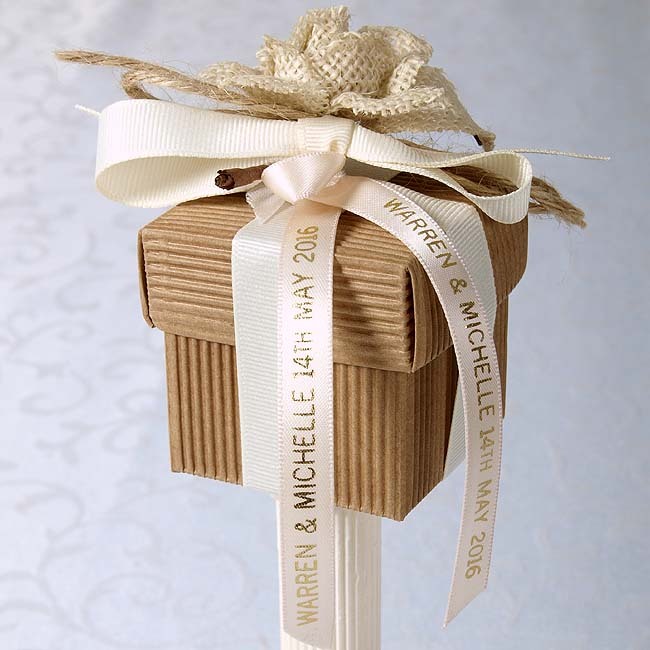 To position and attach the ribbon so that your names and wedding date can be best seen you will need to allow about 30cm per favour depending on the box style or 1/2 metre for bomboniere tulle favours. 1 roll should be enough for approximately 70 favours. 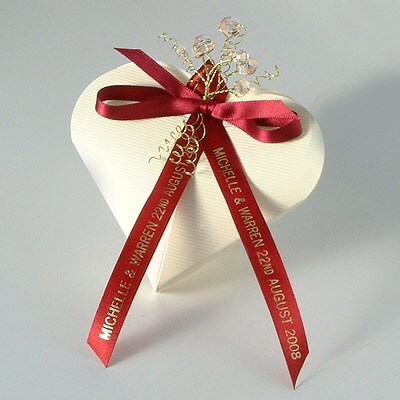 Personalised ribbons can only be attached to favours that already have ribbons in their design. Exclusions include top hats, tuxedos and some of our childrens ranges. Personalised ribbons and tags may add a further 7 days to our standard delivery times. 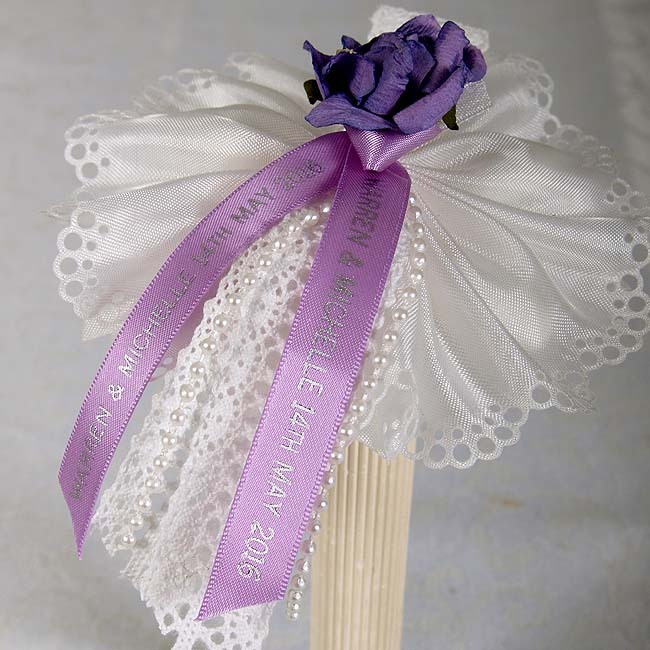 We do not attach personalised ribbons to items from our DIY ranges. Type style is as shown in picture.